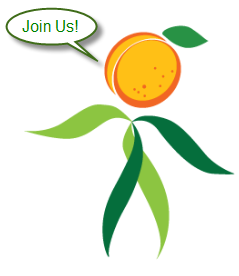 Wild Apricot is looking for a new member to join our marketing team! Are you a writer and blogger with social media experience, and a background working with associations or non-profits? Are you looking for a great challenge at a great company doing great things? Then we’re looking for YOUR help to grow even bigger and better! Wild Apricot is web-based membership software for small associations and non-profits, and thousands of customers use our software to help further the goals of their organizations. Our marketing philosophy revolves around the idea of bringing customers to us by being approachable, rather than using the traditional "hard sell" approach. We are focused on keeping our marketing messages simple and direct, and on being a key source of industry knowledge and best practices, as well as being a great software company. And, as you might have guessed by our name, we definitely like to have a good time while working hard! Our blog and social media presence are critical to our goal of sharing knowledge. The Marketing Writer/Blogger is a key member of the Wild Apricot team, and reports to the VP of Marketing. This person must absolutely love to write great content and have examples that he or she is proud to share. This is an individual contributor role with a high level of visibility both inside and outside the company, so finding the right person is critical for us. To be a leading resource for helping small association and non-profit volunteers, staff and board members solve the practical, day-to-day problems faced by their organizations. To inform and educate readers about the benefits of web-based software to run their association, club or non-profit - with the focus on functionality included in or related to Wild Apricot software, and using Wild Apricot as a specific example when appropriate. The Marketing Writer/Blogger will also contribute to other marketing and social media efforts. Visit the job post on LinkedIn for more information! I am a blogger and I work for a non-profit and if job was not based in Toronto and is part-time I would apply! But I'm sure it won't help that I point out that you have a typo in this article...first summary paragraph should read, "Are you a writer and blogger..." not "Are you an writer and blogger..." as stated.